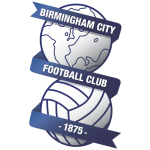 Birmingham vs Bolton predictions ahead of this Championship clash on Tuesday night. Can the visitors end their awful run of form? Read on for our match preview and free betting tips. Garry Monk has made Birmingham into one of the main contenders to make the playoffs this term. While they are yet to break into the top six this term, they are just four points off the top six, sitting back in eighth place. That’s a strong showing from a team who were consigned to the relegation battle last season, now they’re fighting for the Premier League. Can Bolton come here and cause a huge shock, boosting their own hopes of beating the drop at the same time? The home side are coming off a real thriller, after winning 4-3 at QPR on Saturday. That kept up their push for the top six, and it has marked them out as the favourites for this game. If they’re going to stay in the race for a playoff position, then they need to get maximum points from games like this one. The Blues have doubled Bolton’s points tally this season – a telling statistic which shows how far they have come since staying up on the final day last season. The visitor’s come here with a four-point gap between them and safety. A return to League One seems likely, as they’ve got huge issues to sort out both on and off the pitch. Their recent form has been woeful, with little fight in the league and an exit in the FA Cup. Saturday brought a 2-1 home defeat to Preston, a loss which continued the Trotters’ wait for a victory, and their poor form at the back. Bolton come here with one of the league’s worst defensive records – only three sides have conceded more than them. They have shipped 26 goals on the road in total, and now they clash with a Birmingham side who have scored eight times in their last three games. They’ve come roaring back into form, which has seen them priced up as the clear favourites here. Given that the Blues have scored at least twice in every one of their home victories this term, finding the net twice or more in 60% of their home league games, they should be backed to score over 1.5 team goals against the Championship’s second-worst side. Birmingham’s push for goals in this clash is aided by the presence of one of the league’s top scorers. Che Adams added another two goals at the weekend, taking him to 19 for the season. He’s really coming into his own this term, and he’s playing in a side which gives him plenty of chances to score. The Blues will be looking to Adams to find the net again here after he scored in six straight league games. In those matches, he has hit eight goals, yet he is really well priced to score against one of the Championship’s poorest defences. That makes him great value to score any time. Lukas Jutkiewicz has been involved in 15 goals in his last 18 league appearances at St. Andrew’s for Birmingham (9 goals, 6 assists). 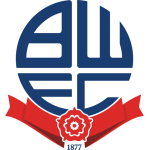 Bolton haven’t lost seven consecutive away league matches since losing their final eight away Championship games of the 2015-16 season.